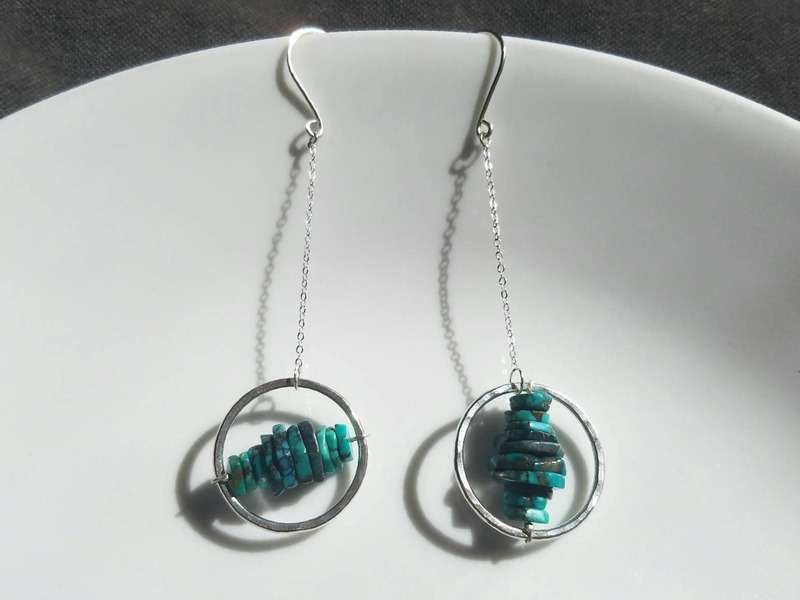 I created the hoops out of sterling silver, gave them a subtle hammered texture and attached them to delicate chain. 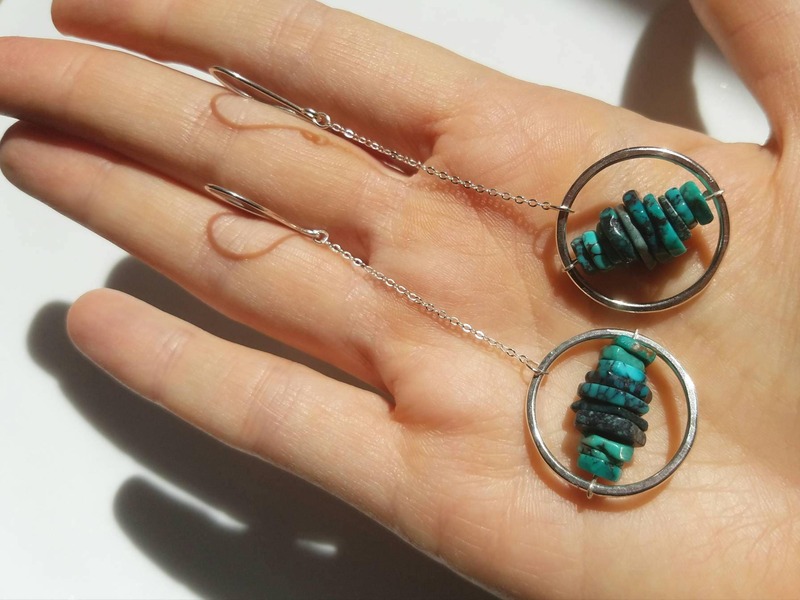 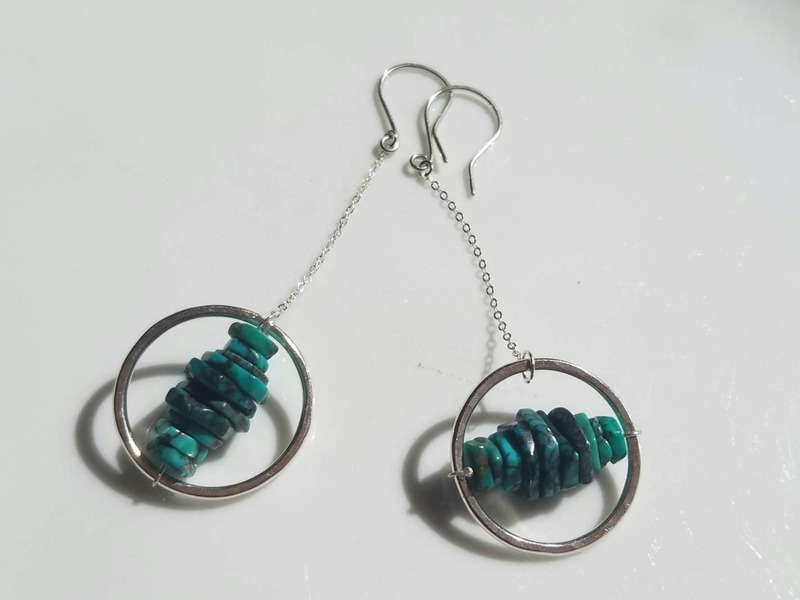 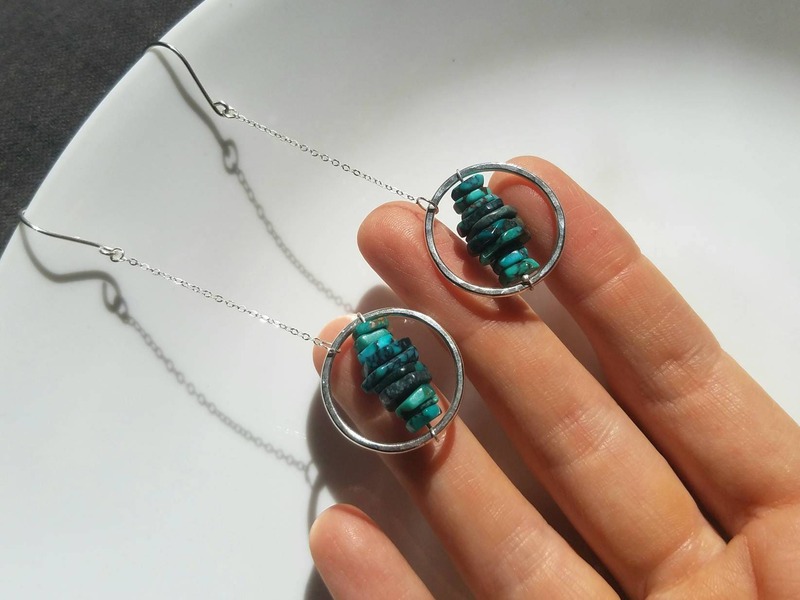 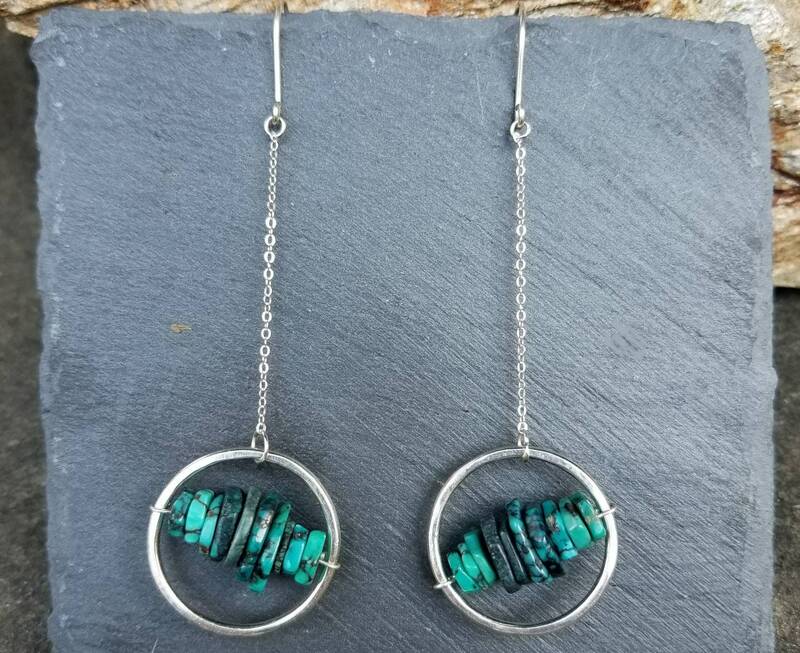 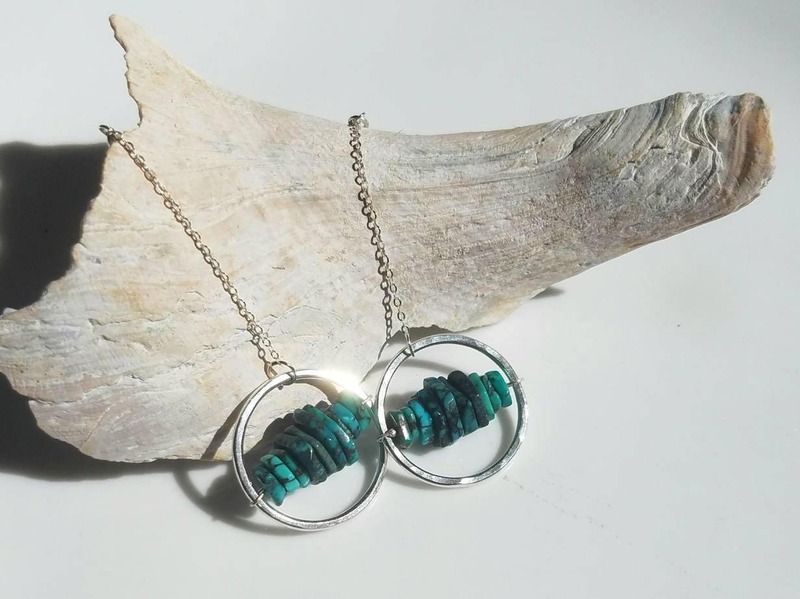 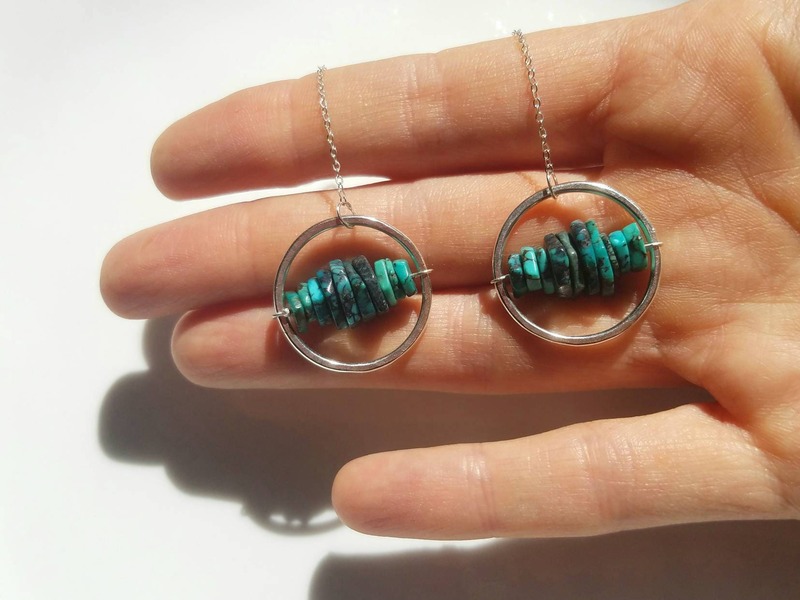 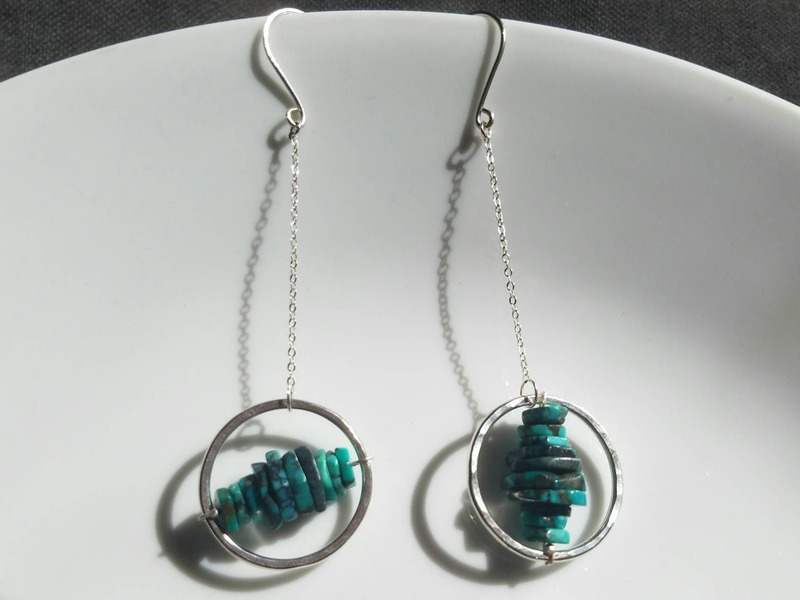 Each hoop is a home to vibrant blue turquoise slices, threaded on sterling silver wire. 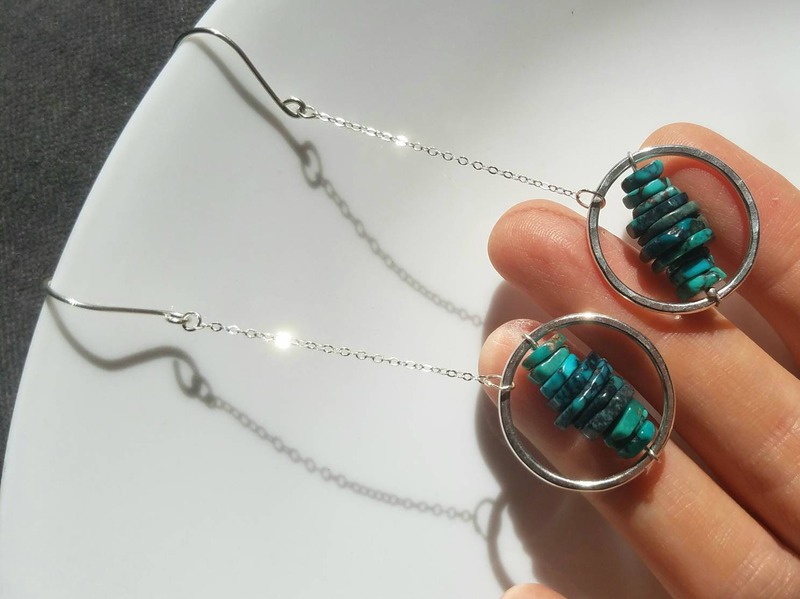 The turquoise is attached in a way that allowes for movement, reminiscent of a compass needles. 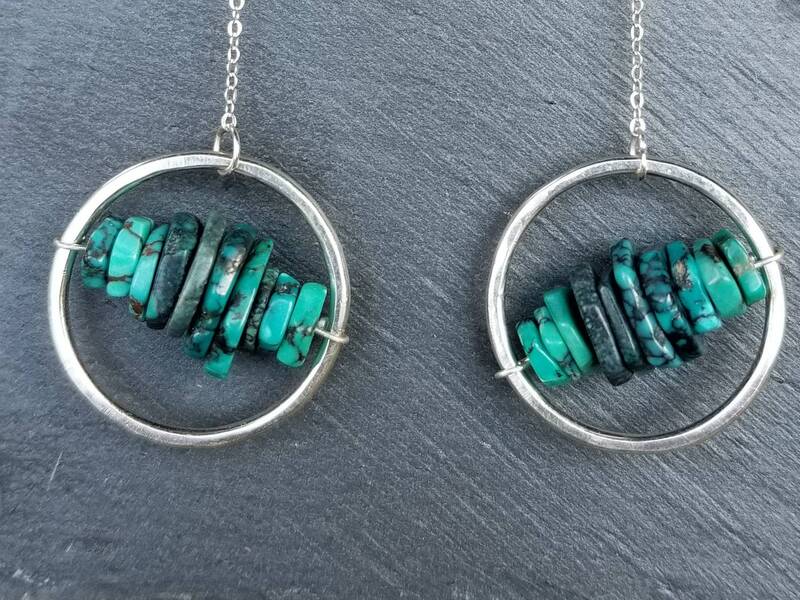 The hoops measure approximately 1.25 inch in diameter and hang on hand made sterling silver ear wires.